Our family hopes yours had a blessed Christmas. We had a wonderful time with family and for the most part, everything was fairly low-key which is exactly how we like our Christmas to be. Tomorrow is our annual New Year's Day come & go party. We always look forward to it. I make basically the same food every year (and lots of it) then just kick back and visit with family and friends. Super casual and a great way to start off a new year. A little trivia for you, on New Year's Day in the South we have foods that represent well wishes in the new year. We were recently given the opportunity to try out emeals and this is the first week that we will be trying it out. Their plans begin on Thursdays and as mine begins on Sunday, we will have to make a few adjustments. I am also going planning to substitute what I have with what they say to buy. For instance, the Moroccan Tagine calls for whole wheat couscous but what I have on hand is bulgher wheat so I will be using that instead. According to the website, our particular plan should cost me around $145 a week to feed our family. Um...no. If I spent that, we would only eat for 2 1/2 weeks every month! Thus, the substitutions. We chose the "Clean Eating" plan which is probably good since over the carbtastic holiday season, we should be eating a little cleaner. I was given the opportunity to try out eMealz through US Family Bloggers. All opinions are my own. This post may contain affiliate links. 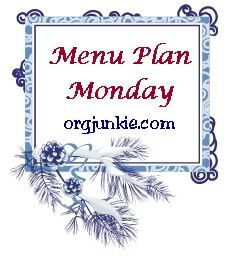 We aren't picky but it will be difficult to relinquish ultimate control of my kitchen agenda. Thanks for stopping by! While growing up it was black-eyed peas. In my husband's house it was pozole. I'm with you, MPM keep me on track as well. Thanks for stopping by and have a happy and healthy new year.